When a accident occurs, life can change in an instant. Due to the nature of serious and catastrophic injuries and the extensive treatment that is typically required, medical bills can quickly escalate into the millions. James Mahfood will help you preserve your life and get you all of the medical care and monetary compensation you will need to get you back living life again. Under California law, pet owners are typically responsible both legally and financially for the harm that their animals inflict upon others. Everyone expects that the products they use will be safe and free from defect. However, thousands of people are injured or die each year because of unsafe or defective products. For property owners, failure to either maintain safe premises or warn of dangerous conditions can result in the owners being held liable if someone is injured. James Mahfood is a seasoned Premises liability attorney. There are several variations of premises liability cases that typically occur due to failure to maintain a safe environment. They most commonly include; cracked sidewalks or pavement. slippery floors, and dangerous construction sites with both obvious and hidden hazards such as unprotected or insufficiently marked holes. 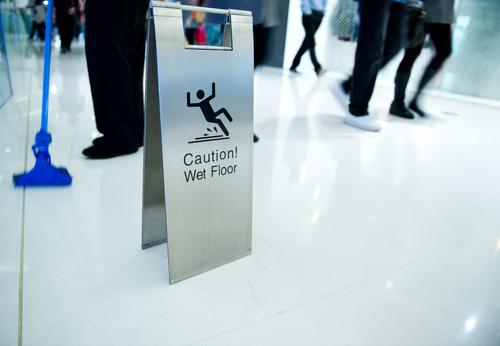 As mentioned above, the most well known injury is termed “slip and fall,” however there are also step and fall accidents, trip and fall accidents, and accidents caused by falling objects. These are a few of the many cases that fall under Premises Liability. If you have injured yourself on someone else’s property, contact James Mahfood at (949)-830-3700 for a free consultation.